Sometime before his death last summer, Steve Rummler wrote a note to no one in particular: At first it was a lifeline. Now it is a noose around my neck. Rummler’s addiction to pain pills started out innocent enough. Reeling from a 1996 back injury that caused shock-like sensations up and down his spine, Rummler was prescribed narcotic painkillers in 2005. He told his parents “it was like a miracle,” his mother, Judy, a part-time Bonita Springs resident, recalls. “He really believed this was something that was helping him,” she said. But after several years on the pills, Rummler became addicted to the point where even professional rehabilitation programs could no longer help. His parents, Judy and Bill Rummler, found the “noose around my neck” note while going through Steve’s belongings after he died of an accidental overdose on July 1, 2011. The Rummlers spoke to a group of about 50 people Monday morning at a panel discussion in Bonita Bay. Through The Steve Rummler Hope Foundation, the couple now advocates and raises awareness of the connection between chronic pain and the disease of addiction. As much as 65 percent of the chronic pain population might be misusing or abusing their medications, said Dr. George Crabb, a specialist in addiction medicine with the NCH Healthcare Group. 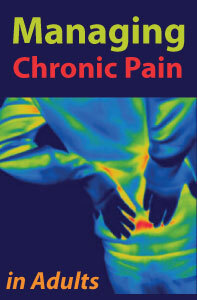 The conventional wisdom that total pain relief is the goal is dangerous, he said. “As I see patients, they have this thought process that they deserve to be pain free. And unfortunately, that’s not life,” Crabb said, suggesting that other treatments, like anti-inflammatory medicines and psychotherapy, can be effective and less addictive than opiates. Michael Demask, the executive director of the Hazelden Addiction Treatment Center in Naples, said he became addicted to pain pills following a car crash when he was in his 30s. He quit cold turkey in a treatment facility and hasn’t looked back. That said, Demask said he knows it’s not easy for everyone. Some people, he said, benefit from 30 days in treatment, while others need months or years of intervention — time that isn’t always paid for by insurance companies. About 80 percent of the Naples Jail Center population has experienced alcohol or substance abuse, estimated Scott Salley, the chief of corrections for the Collier County Sheriff’s Office and former president of Drug-Free Collier. Judy Rummler said her family’s foundation is working toward educating both patients and doctors about the danger of addiction and the benefits of alternatives in treating chronic pain. When Steve was prescribed painkillers, “he really believed this was something that was helping him,” she said. “There’s been a movement in this country, as you know, that no pain should go untreated. Medication for chronic pain is addictive; therefore, the treatment of individuals with both substance abuse disorders and pain presents particular challenges. 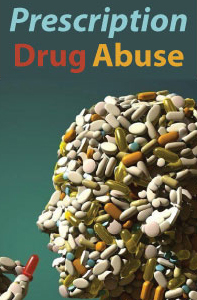 This course is based on a document from the Substance Abuse and Mental Health Services Administration (SAMHSA) of the U.S. Department of Health and Human Services, Managing Chronic Pain in Adults With or in Recovery from Substances Use Disorders: A Treatment Improvement Protocol (SAMHSA Tip 54). 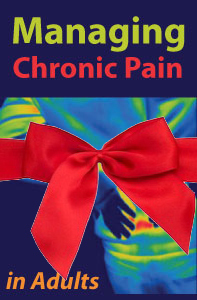 Intended for all healthcare providers, this document explains the close connections between the neurobiology of pain and addiction, assessments for both pain and addiction, procedures for treatment of chronic pain management (both pharmaceutical and non-pharmaceutical), side effects and symptoms of tolerance and withdrawal from pain medication, managing risk of addiction to pain medication and nonadherence to treatment protocols, maintaining patient relationships, documentation, and safety issues. Written by panel consensus, SAMHSA TIP 54 provides a good introduction to pain management issues and also a good review for experienced clinicians.